I sadly report that an 8.2 magnitude earthquake has struck the coast of Chile, prompting evacuations and tsunami warnings. At 5:04pm Pacific Standard Time, a quake from the San Ramon thrust fault line resulted in at least one initial small tsunami of about 6 feet. 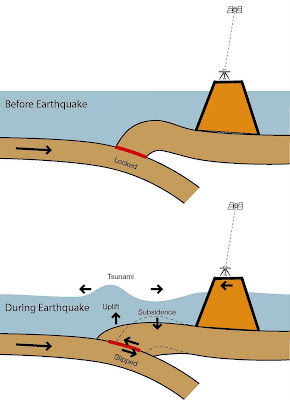 This fault line, which is a thrust fault line much like the one that caused the 2011 Tohoku tsunamis, is quite active and has caused a range of quakes from mild to severe in the last few decades. A tsunami alert has been issued for Chile, Ecuador and Peru, and all coastal areas are being evacuated as best as possible.